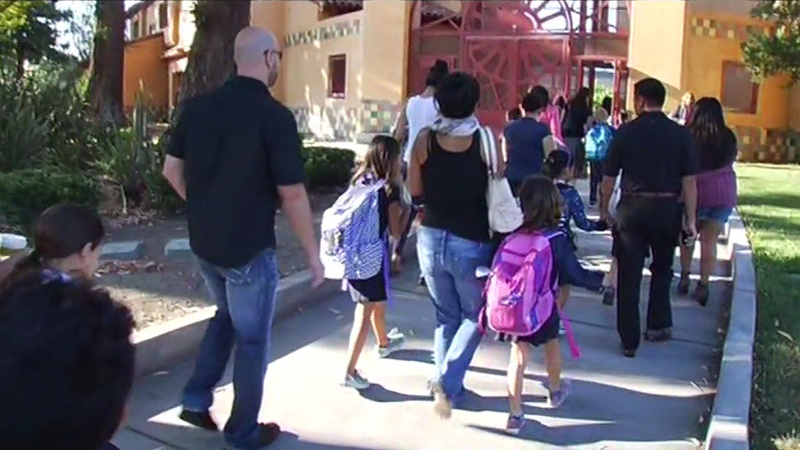 "Many parents wake up each day and worry sending their kids to school by walking is going to put them at risk of getting into an accident and we can't have that," Murthy said. The goal is to promote street safety, healthier habits and a cleaner environment. "America should be a place where everyone can walk or wheelchair roll in their neighborhood. So we've got to make neighborhoods safe if we want people to walk," Walk San Francisco spokesperson Nicole Ferrara said. Some students and community leaders took turns helping police use radar guns to clock the speed of drivers heading into the Broadway tunnel in San Francisco.